New startup is either a disruptive technology that will forever change the corner store, or yet another example of Silicone Valley looking to gentrify neighborhoods- depending on who you ask. Founded by two ex-Google employees and buoyed by significant funding from Silicon Valley venture capital firms, a startup company called Bodega made its presence known to the world with a furious PR pitch this week. 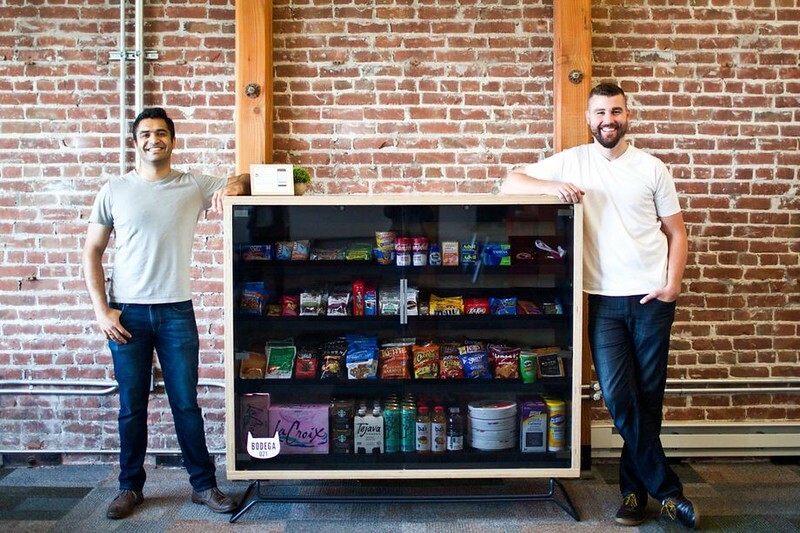 The concept is not new- Bodega installs small, automated vending machines (five-foot-wide and wifi-enabled) in apartment buildings that are stocked with the same non-perishable staples you’d find at a convenience store, everything from toiletries to nutella. Currently 30 of these boxes have been installed at locations throughout the Bay Area, including dorms, office buildings, apartment lobbies and a gym. The company believes that their amped-up vending machines will be an attractive option for those that typically buy these items online with same-day delivery, optimizing the ‘last mile’ of retail in a way that even a two-hour delivery from Amazon cannot match. Others see this concept as nothing more than a ‘gentrification box’ aimed at squeezing out mom-and-pop shops owned by hardworking immigrant families. The company initially indicated that their technology would make the corner store obsolete, ushering in a wave of commerce bringing that same ease and convenience to those that don’t have a corner store by putting one right where you live and work. The message missed its mark, big time. A wave of criticism quickly enveloped social media. Those that don’t live among the glass-walled-off world of Silicon Valley saw the messaging as being aimed towards eliminating an industry dominated by both independent and franchised stores primarily owned by immigrant families. Even the name ‘Bodega’ was seen as a disrespectful diss at the cultural roots of immigrant business owners. A note to Silicon Valley: When you defend yourself by saying ‘Hey, I have a black friend’, is the very moment when you should realize that you have no conception whatsoever of what people unlike you go through on a daily basis. Especially when your focus group involves a sorority house at Stanford. Truth be told, there is a market for this technology. Hotels have successfully operated hard goods kiosks for decades, and a quick trip to Japan will reveal how vending machines can reach beyond hawking sugary sodas and salty snacks to sell everything from cold beer to toilet paper. But Bodega’s splash announcement illustrates just how arrogant and out of touch Silicon Valley is, and illustrates the divide between the haves and have nots that fuels a fervent gentrification backlash boiling over in urban neighborhoods throughout the US.